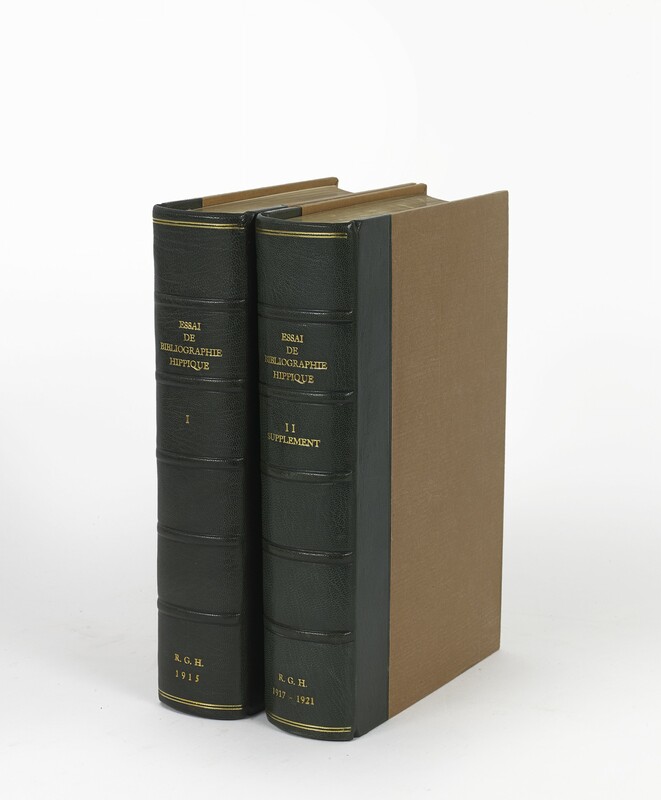 Three volumes in two (25 cm), I (1915): vii (3), 760 pp. II (1917): (4) 736 pp. III (Supplément, 1921): (4) 64 pp. Uniformly bound in morocco-backed glazed-paper boards, top edges gilt. - First edition. 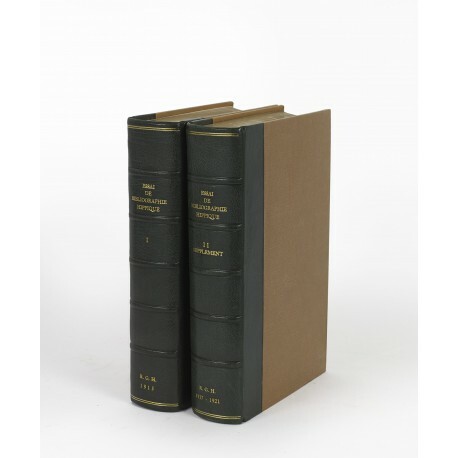 ¶ Paper of the Supplément evenly browned, as usual; a very fine copy in a collector’s binding.